CHARLOT, Buklan Charlot and his wife Elourdes Charlot. Mr. Buklan Charlot was born on December 2, 1934, Mrs. Elourdes was born May 11, 1936, they were both born in Belle-Anse, Haiti. Buklan was born to the late Carnese Boute and Canot Charlot. Buklan was called to eternal rest on March 3, 2019. 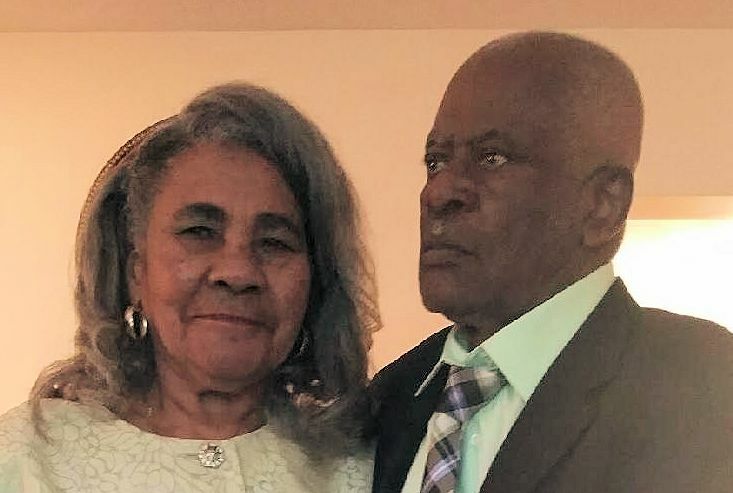 Elourdes was born to the late Leonie Jean Baptiste and Joubert Jean, she was called to eternal rest on March 5, 2019. They both were loving and caring parents. Buklan was a well known tailor, farmer, husband, father and a great provider for his family. Elourdes loved taking care of her family. She was very patient, supportive and encouraging to her kids and husband. She also loved cooking, gardening and music. They will truly be missed by their children, family, friends and neighbors. Relatives and friends are respectfully invited to attend visiting hours on Friday, March 29th from 5:00 – 9:00 PM. A Funeral Mass will be celebrated on Saturday, March 30th at 10:00 AM in St. Mary Church, 211 No. Main St., Randolph. Burial will follow in Central Cemetery, Randolph.